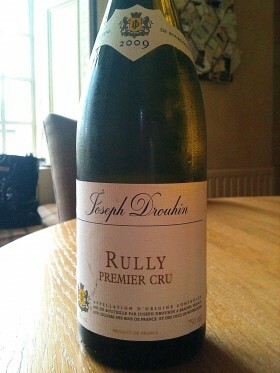 Sometimes it is really nice to have something rather special, this weekend we had Joseph Drouhin Rully Premier Cru and what a treat. From opening the bottle to the very last sip it thrilled our pallets, long deep complex over tones, it really made us smile. A beautiful elegant white burgundy, you can taste the sunshine, however it has a real earthiness’s to it which gives it so much character, as I said it is complex so I would not just say it is fruity, it has a multitude of delightful elements going on, it is sheer bliss. It is a little more expensive than I would normally recommend but if you want a real treat, then go for this, Waitrose are selling it at the moment at £13.99 and if you buy when they have sales on it has been seen at £11.99.